We go to Rome this week! The trip was booked back in October and the time has flown by since then. I can't wait to be reunited with Stuart and explore another city in Europe with him. Rome has been on my mind so much the last few days, I've done lots of research and I'm gradually getting a list together of all of the places in the city we'd like to visit. I always like writing a blog post about the experiences I'm looking forward to before I head off on another adventure, and that's what this post is going to be! 1. Seeing the Trevi Fountain at night. I love photography and this is one photo that I really want to capture when we're in Rome. I've seen the fountain before in the day, but like most tourist sights, I'm sure it's even more mesmerising at night! 2. Eating traditional Italian pizza. When in Rome, it is absolutely essential to try classic Italian food. We've pre-booked tickets for the Colosseum and I can't wait to see it again! It's one of those buildings that I think everybody should see at some point in their lives. 4. Going to the Pantheon for the first time. The queues for the Pantheon were too long, when we visited Rome years ago. I'm hoping as we're visiting Rome out of season, we shouldn't have any trouble getting to go inside on this trip. 5. Having a Lizzie McGuire movie moment and strolling through some of the city gardens in the evening. Rome is known for having beautiful gardens! I loved the Saxon Gardens in Warsaw, so I'm sure the Rome ones will be right up my street! I can't wait for our trip! 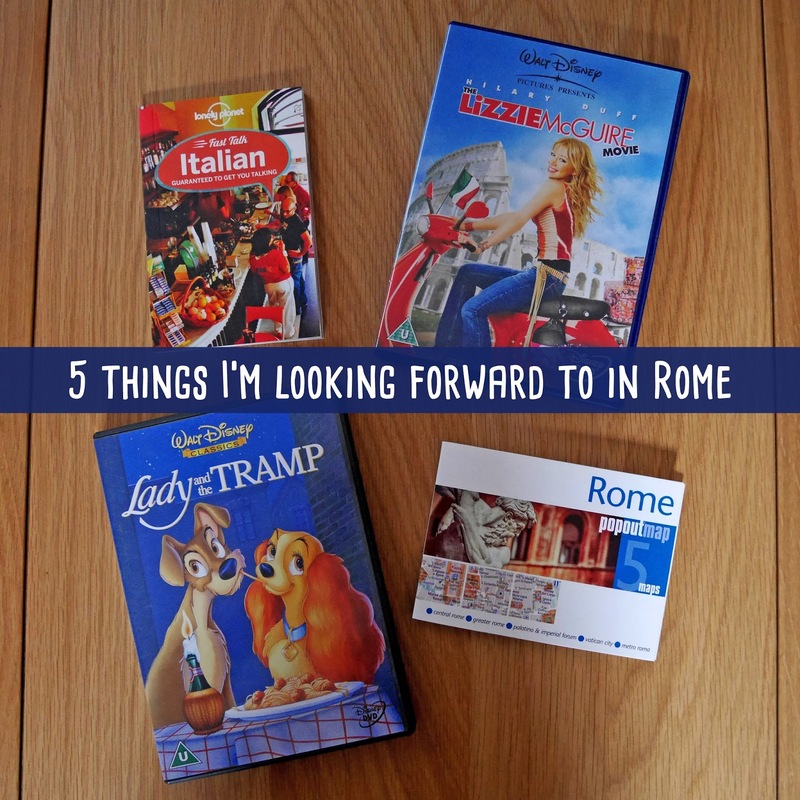 So exciting that you're going to Rome! I've only visited it briefly but I loved it (mostly because I did Classics at uni! ), and I definitely get the Lizzie McGuire moment thing :D I'll keep an eye out for your posts on it when you're back! Ah wow, you did Classics? Rome would have been just your kind of thing then! :) Haha it's such a great movie!